UGH! WTF…The Scale’s NOT Moving! Lemme share a little story with you. I have a dear friend who’s a fitness instructor. She’s tiny, has a six pack and she stands at 5’5” tall. When she told me her weight I nearly dropped dead (well, not really dead, but I was shocked for sure!) She weights 145 lbs! Now, I’m 4 inches shorter and I weigh about 124lbs. I for sure don’t look like I weigh 20lbs less than her! It’s proof positive that you can ONLY compare yourself with YOURSELF, but it also breeds the questions…how come she looks SO much tighter, but weights so much more?! It’s that same ol’ riddle-esque question. Of course a pound of fat weighs the same as a pound of muscle, right? A pound is a pound, BUT it’s the volume that we need to talk about. 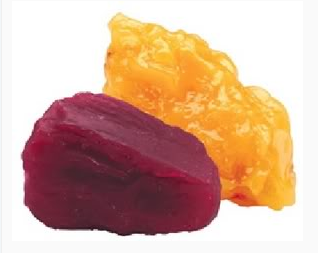 1 lb of fat has nearly 3x the volume as does 1 lb of muscle. The size of 1 lb of muscle is roughly the size of a baseball while 1 lb of fat is 3x that size. Think, if you have 10 lbs of fat it’s like taking on 30 baseballs to your bod (distributed throughout,,,but still)! Now when people say, “I’ve been training so hard and eating right, but I haven’t lost any weight…it MUST be muscle.” That’s not necessarily true. Dr. Michael Colgan, PhD, a leading sports nutritionist, has done studies to show that the maximum level of muscle gain that he recorded in 1 year was 18.25 lbs. These studies were done on high level athletes with optimal training, nutrition and recovery. Dr. Colgan also says that due to the limited amount of turnover in the cells the maximum amount of muscle weight it is physically possible to gain in one day is 1 oz (16 oz in 1lb). With that said the maximum amount of weight it’s possible to gain in 1 year is 22 lbs. Whoof all the math, let’s keep going! Why ARE you gaining weight if you’re eating well and working out more than before? The most likely answer to this question is that much of the increased bodyweight is largely due to increased body fat stores, glycogen and water. When your body begins to adjust to all the added working out and nutritional adjustments it will begin to release the glycogen and water. Make sure to keep drinking water (click HERE for more info) in order to appropriately hydrate and keep your body from retaining water. Remember…love yourself EXACTLY as YOU are! You’re only getting better…FIERCE(R) every single day! This entry was posted in FIERCE HEALTH, FIERCE WORKOUTS, FIERCE- ISH and tagged balance, body, committment, fat, fitness, health, muscle, self improvement, strength, water, weight, weight-loss by GETFIERCE TRAINING. Bookmark the permalink.